Now that JD's Robots and Rockets birthday party is about a month and a half away, I am allowed to start driving myself and hubby (he actually starts to give me input around this time) crazy about the details! 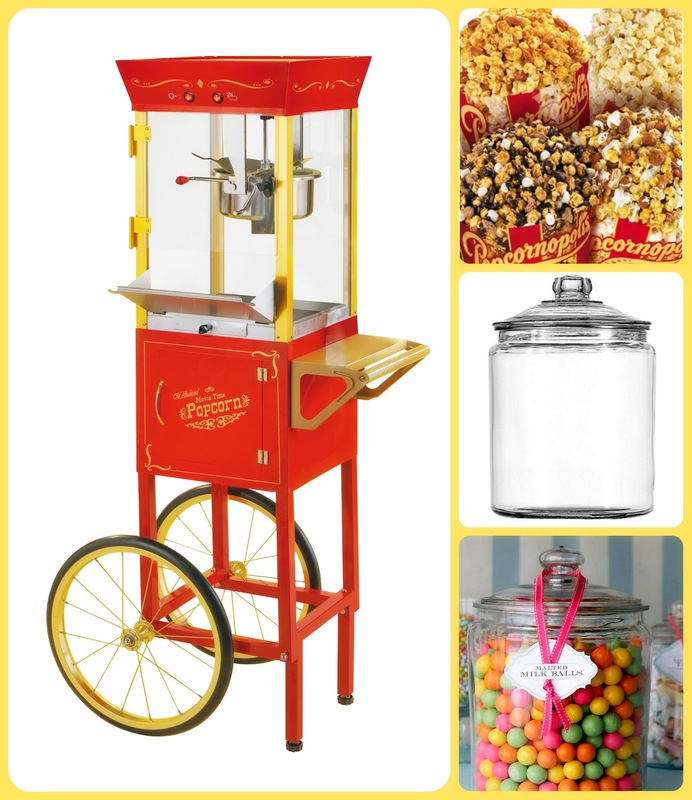 My first order of business this weekend is to get all the things I need for JD's Gourmet Popcorn Buffet in order. We already own a popcorn cart, so that takes care of the yummy butter flavor popcorn we'll be serving; I've also found a local gourmet popcorn vendor for the other flavors, but I'm still searching for a wholesaler with a better price. I wasn't sure exactly how I wanted to display the popcorn, just because I hate using glass when toddlers are present, but I did find these very heavy glass jars that would be perfect for displaying, but not fragile enough to worry me, so I will be lugging those home this weekend!